Open Sun 3-31 1-3 pm. 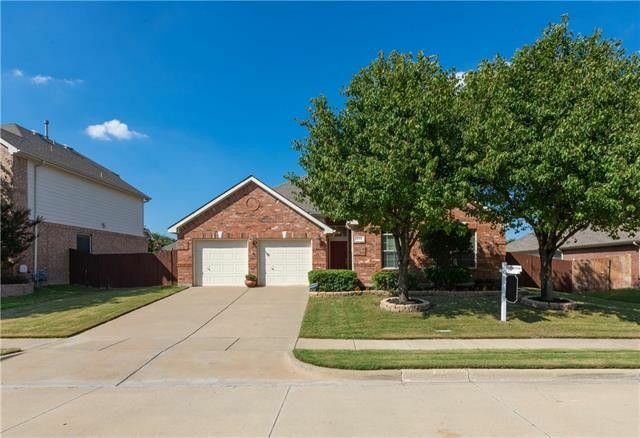 Amazing Home in Keller ISD with all Bedrooms down. This home is well maintained. Family and Friends will love to gather here in this spacious home. Media Rm upstairs, TV and Speakers convey. Beautiful wood look laminate floooring. Spacious Family Room open to the awesome Kitchen with an Island, granite counters, Brk Bar, Breakfast area with Planning Ctr. Walk-in Pantry. Freshly painted. Formal Dinning Room, Garage has extra space for a workbench. Community Pools, Community Center for special occasions. Catch and release fishing ponds. tennis court, jog trails, water park, park.Study-bedroom door will be changed out at buyers request. Directions: From Keller Hicks road go North on Park Vista, Left on N Caylor, Left on Raisentree Dr, right on Comstock Circle, Left on Holly Hock, home on the right. Exclusions: Flower pot in front and back yard.